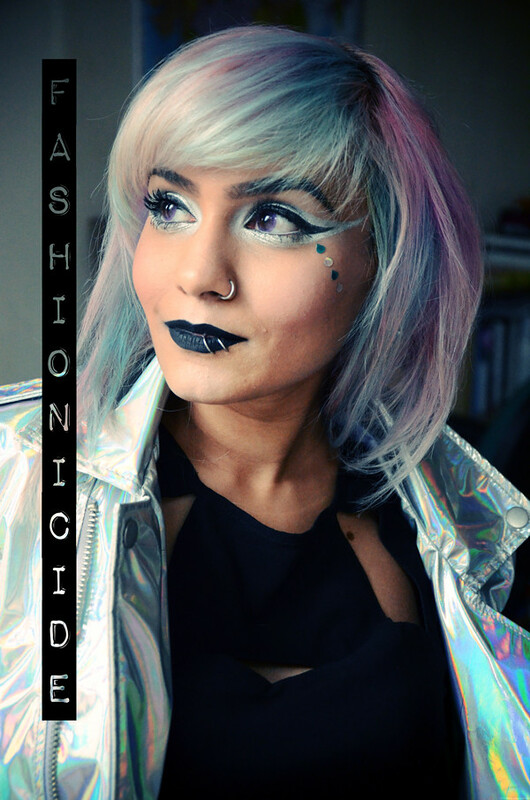 Futuristic Makeup // Liquid Silver Eyes and Black Inked Lips! I don't know about you, but whenever I see silver I can't help but associate it with the future. And when I do project in to the future (which happens pretty often! ), the colours in my mind are quite cool toned and silver always features prominently. Many people tend to match their make up to their mood, to their hair or to their outfit, but I find that I match my make up to the music I'm listening to. My taste now is much more eclectic than it was 10 years ago and lately I've been getting familiar with the dreamy, electronic tones of synth. The better songs create mythical landscapes in the mind of the listener. 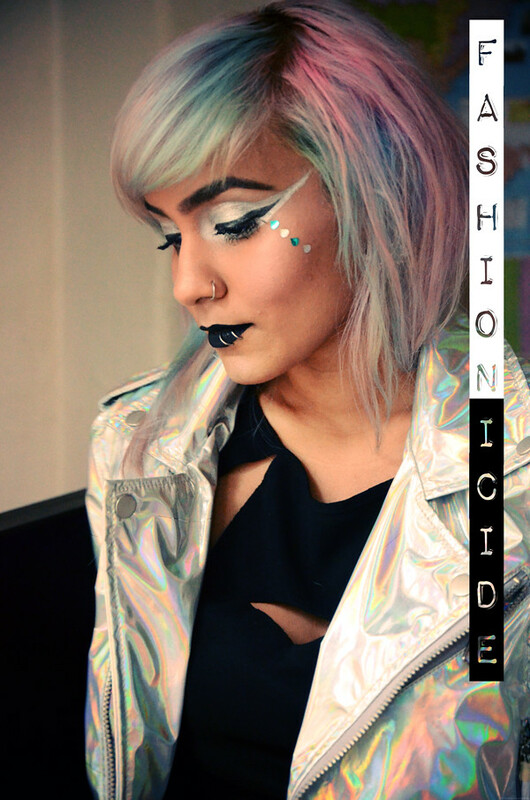 For this look, I opted for silver foil-effect eyes and whipped out a matte black liquid lipstick! 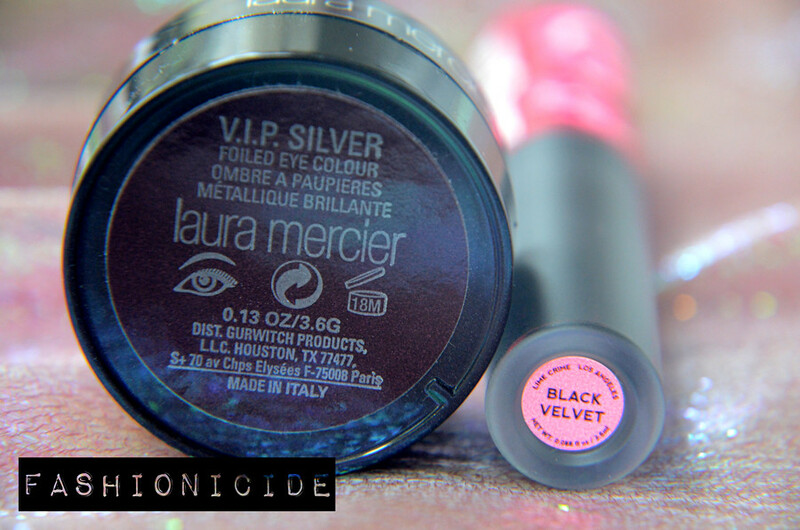 I picked up the Laura Mercier VIP Silver Eye Shadow from Depop for a bargain-icious £2! I was a little skeptical about this actually, thinking it might be one of those overly subtle eyeshadows but was happily proven wrong! 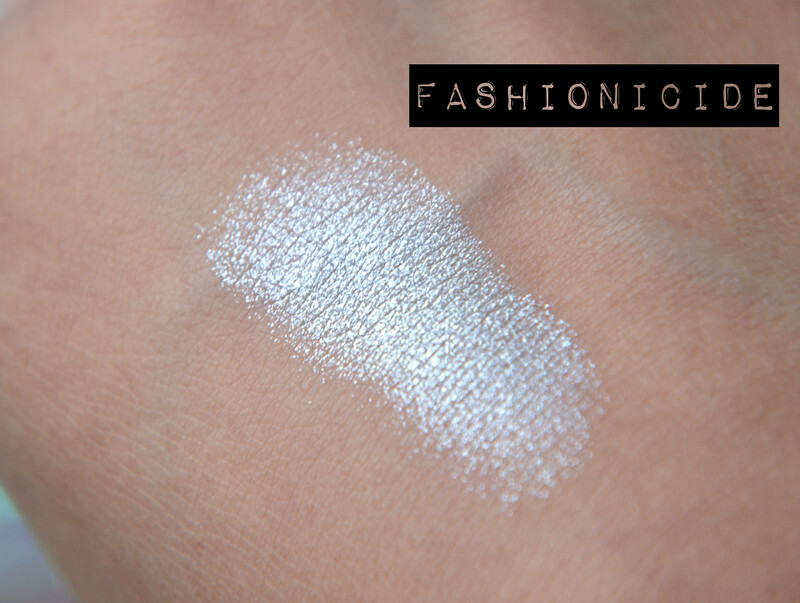 Upon swatching, it appeared to be quite intense but fortunately the colour wasn't as clunky as you might expect from a metallic silver or gold eyeshadow. That's always been a pet-hate of mine, why make such a stunning colour but ruin it with a terrible formula? 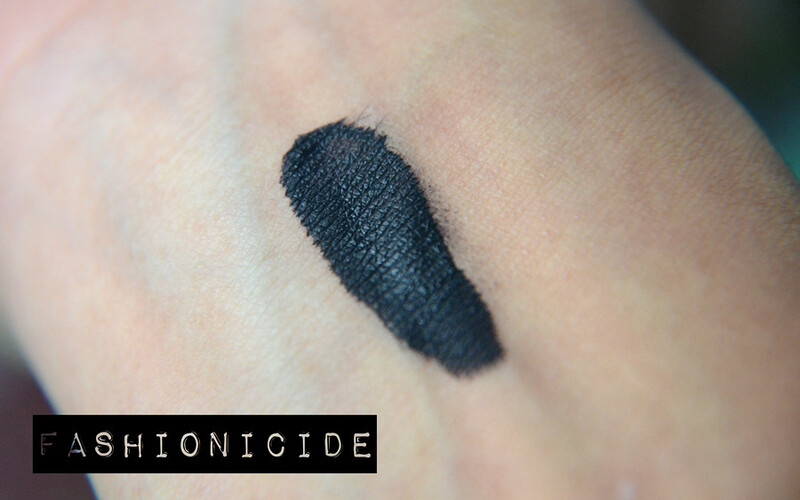 I applied this atop my Urban Decay Primer Potion on my lids and was amazed at how it glided on so beautifully! 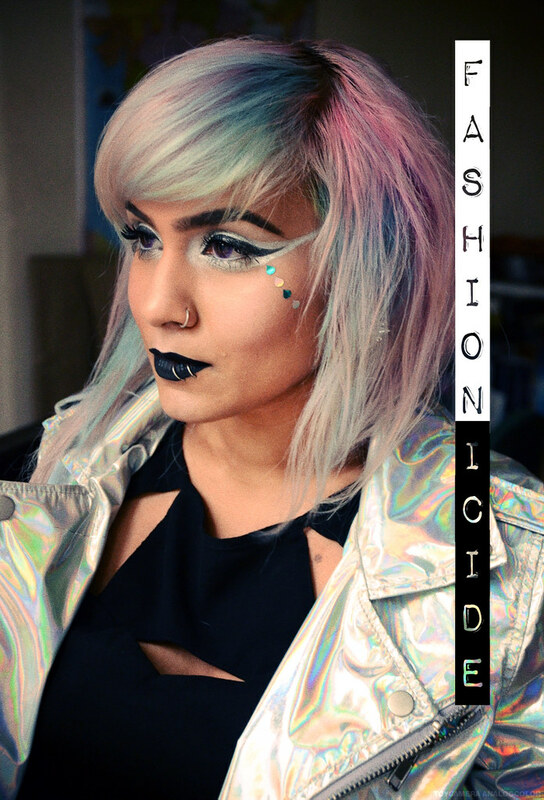 To round off the look, I spritzed my brush with water and created the exaggerated silver liner. I have to say I was incredibly impressed, the application was so smooth that looking in the mirror it genuinely looked like I'd covered my lids in smooth silver foil. The best way to describe it? It felt like I was applying liquid silver that dried quickly and set perfectly. I'd tried (and reviewed) the Red Velvet from Lime Crime's Velvetines range last year and loved the formula and the longevity of it, so when I spotted a small Lime Crime stand at IMATS last week I had to sweep in and pick up some Black Velvet along with the rest of the Clueless Witch Collection. Just like its red sister, Black Velvet's longevity is fantastic, particularly for a black lipstick. The swatch on my arm took a while to scrub off, but on the lips it's not quite so difficult to remove. After eating and drinking it does wear off, but in fairness I don't know of any 'unnatural' coloured lipstick that can outlast a three course meal. I added the cherry on top in the form of tear drop stickers running from the corner of my eyes to give a holographic tear effect. These are, of course, from Face Lace's Beauty Sparks pack which includes a variety of shapes to choose from. As you can tell, I'm rather fond of face stickers, I see them as tattoos for those who lack the commitment to penetrate the skin. For someone as fickle as me, they're perfect! I'm not really sure whether Laura Mercier even do the foiled eye colour anymore, as I took a quick look on their website but couldn't locate it. 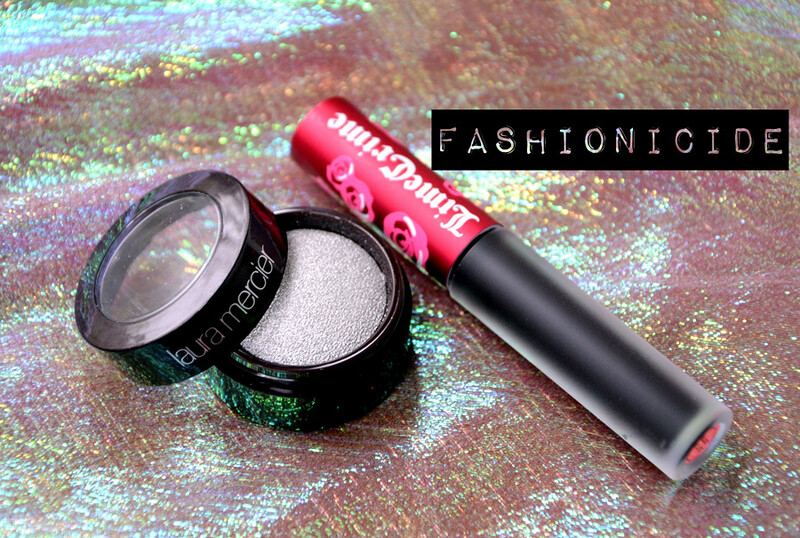 However, you can still purchase Lime Crime's Velvetines range from Love Makeup at £13.50 a pop! The eye shadow is brilliant! More than what you'd expect for the price. I love your new hair, So pretty! You look freaking amazing! You really can pull off such looks so effortlessly! The black lips look so good on you! I tried Velvetines and was amazed with the staying power. I have never tried black lip color but they look amazing on you! The eye makeup is so cool too. Wow, I LOVE your makeup! You are super creative! I recently bought some gemstones because I want to do a shoot wearing them! I just started following you on Bloglovin, Twitter and Facebook! I really liked your style and would love for us to stay in touch:D! If you also have an Instagram account we could follow each other there too:D! I hope you come by my blog sometime and like it too. This is another amazing look. The colours are effective, really 'space-age!' I think it's fair to say my make-up look is more reserved than yours! I would love to be this adventurous and creative though. You should teach lessons! 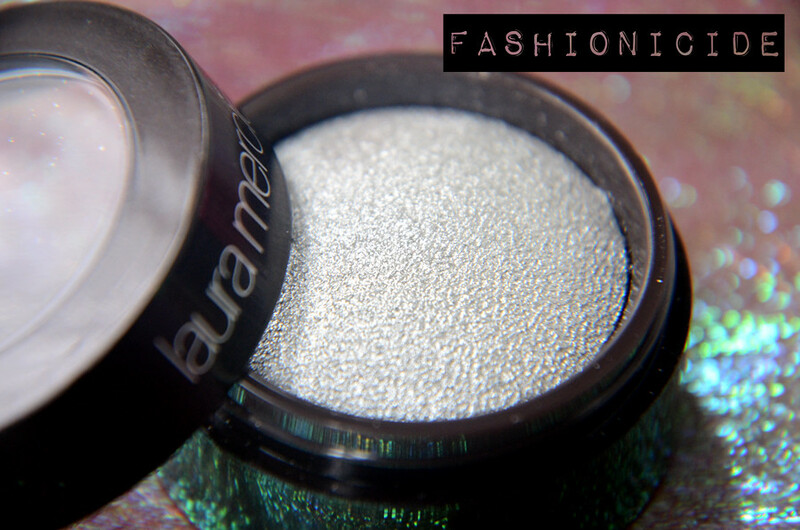 Love Laura Mercier and you suit the silver colour perfectly. 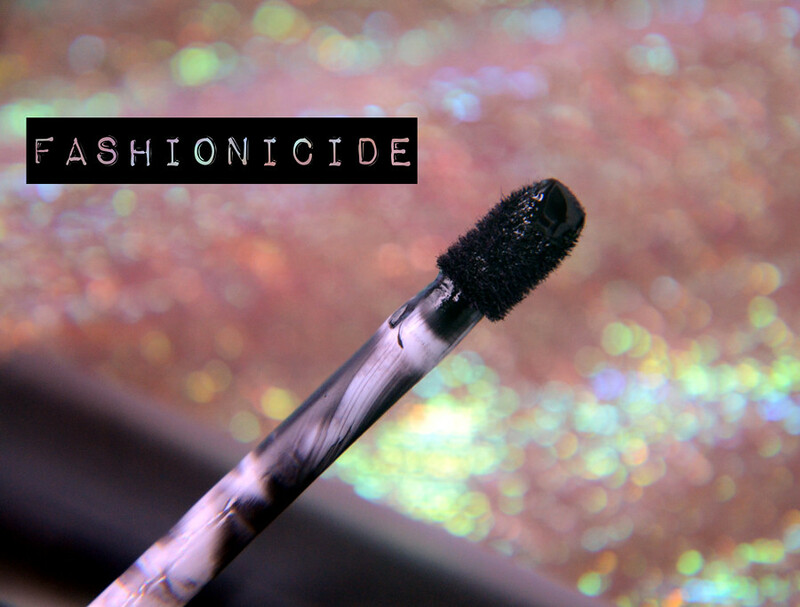 I honestly would never have thought that black lipstick could look good but it looks fantastic on you! I don't think I could pull it off but I would love to give the eyes a try... I'm just clumsy when it comes to putting on eye make up! Incredibly gorgeous make up look! I also associate silver with everything futuristic. And looming is fun. You have an amazing blog and style. Bold and beautiful. Love your style, choice of colours, and photos. Keep it up, pleasure to read.